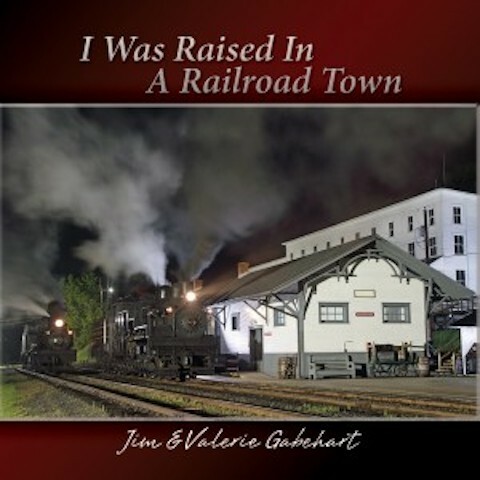 Jim & Valerie Gabehart have announced the release of their latest project, I Was Raised in a Railroad Town. Recorded at Eagle Canyon Music in Nashville, the album was produced and engineered by Steve Thomas and features Valerie Gabehart on guitar and lead vocals, Jim Gabehart on banjo and vocals, Brandon Shuping on mandolin and vocals, and John “Buckwheat” Green on bass and vocals. Guests Steve Thomas and Randy Kohrs join in on fiddle and resophonic guitar. The album’s title cut hit the airwaves in October. We’ve gotten a really positive response about the first single off the album, and we’re excited to release the full CD just in time for Christmas – Jim Gabehart. I Was Raised in a Railroad Town features six original tunes from Jim Gabehart and Buckwheat Green, as well as a bonus track featuring Jim & Valerie’s daughter Amy Taylor, singing one of her own compositions. Fans used to Jim and Valerie’s playful banter will enjoy the humorous “Marital Bliss” and “Can’t Live With Him (Can’t Live Without Him)”. Songs from the album are available for download at AirplayDirect.com. Radio stations and DJs interested in receiving a copy may contact Jim Gabehart at 610 Trace Creek Road, Hamlin, WV 25523, US telephone 304-389-5872, or by email. The album is also available to buy from JimAndValerieGabehart.com. Jim & Valerie are well known to bluegrass audiences in their home state of West Virginia, as well as surrounding states. Jim is a five-time West Virginia State Banjo Champion who has performed on stage with the likes of Ricky Skaggs, The Whites, Mac Wiseman, Larry Sparks, John Hartford, and Ray Charles, to name a few. Valerie is a vocalist that Bluegrass Unlimited called “a gutty, dynamic singer (with) major league talent.” For more information on Jim and Valerie Gabehart, visit www.JimAndValerieGabehart.com. Make Welcome Entertainment provides management and publicity services for bluegrass, roots and country artists. With offices in Nashville, Tennessee and Washington, DC, Make Welcome is well positioned to focus on the details so artists can focus on making great music. To learn more about Make Welcome Entertainment, call 1-800-838-6087 or visit www.MakeWelcome.com.